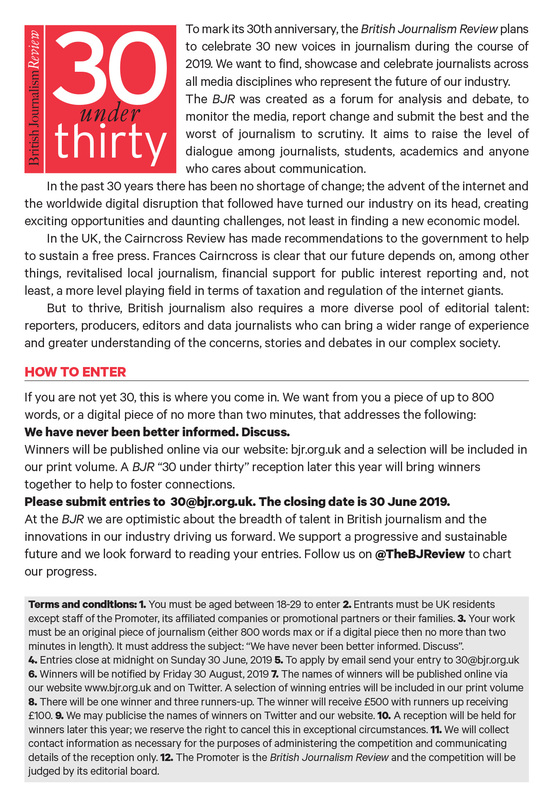 The British Journalism Review is designed as a forum of analysis and debate, to monitor the media, submit the best as well as the worst to scrutiny, and to raise the level of the dialogue. This website is designed to give you an idea of who we are and what we publish. We hope it will appeal not only to journalists, whether in newspapers, radio and television, or online, but also to media academics and students, and to anyone who cares about communication. The British Journalism Review is published quarterly and is available by subscription. © 1999-2019 BJR Publishing Ltd.